This is the sixth excerpt from Jamie Carter’s biography of the mysterious counter-culture guru Jason Zodiac. The following is taken from an interview with fellow rock journalist, Simon Briggs. So we fussed with chopsticks over spicy tom kah kai, and savored lemongrass and coconut milk-flavored curry in the 18th century listed pub that Simon told me was his current love. “Thanks for coming up to Macclesfield,” he said. We both laughed at the same time. “All of them?” I started laughing, and then stopped. It might have looked like I was making fun of him, but in fact, I was deeply impressed. Someone who kept diaries from over thirty years ago? I stopped chewing and looked at him in admiration. “I wish I had,” I said. Briggs had put a bookmark in the 1980 diary, and he opened it at the entry he wanted, slipped on a pair of thin reading glasses, and peered at the wrinkled page. Then he laid it open on the table next to the vinegar bottle. I put down the chopsticks in the bowl smeared with the remains of the red curry and sat back. That figured. The extraordinary was Jason’s business. Simon got up and went outside for a smoke, conforming to the smoking ban that had swept through all of England like a plague. While he was away I drained my lager and thought about Joy Division. The first time I saw them on TV was on the Old Grey Whistle Test, towards the end of 1979, and it was something fascinating but deeply disturbing to watch. Ian’s dark, existentialist lyrics, and his crazed dancing, hinted at emotions that the human body and mind were not capable of expressing. With hindsight, and having briefly met the other members of Joy Division after they became New Order, I understood the appalling drama taking place. Ian’s spasmodic, frenzied dancing on stage was a parallel for the epileptic seizures he suffered in private. Like Voodoo priests who whirl and gyrate to the drums until they reach that ecstatic state where the Loa ride their bodies, Ian brought something back from those moments when the electrical storms swept through his brain, and put it into words and music for an unsuspecting public. In the old days, we would have called him ‘a man possessed’. It couldn’t last. The drugs that Ian took to control his epilepsy affected his personality. One moment he was laughing, then crying, then yelling at everyone to leave him alone. 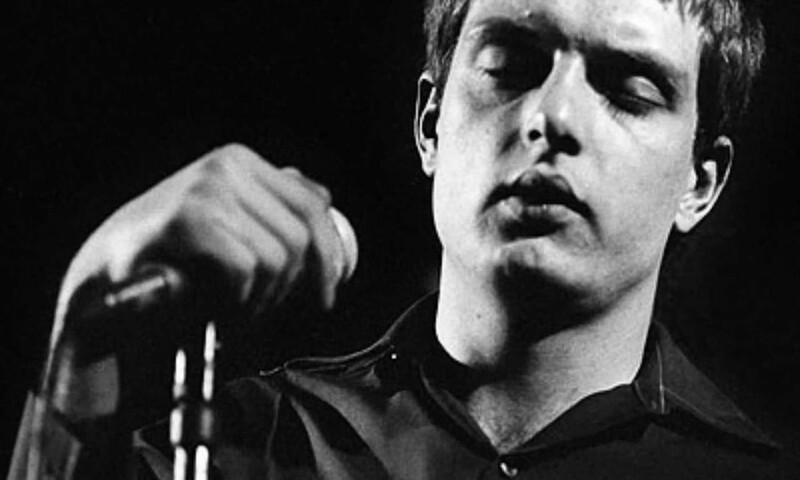 In May 1980 Joy Division were probably the most important band in the UK and about to embark on a US tour – but Ian’s seizures were getting worse and more frequent, and he’d broken up with Debbie. He told the other members he wanted to quit the band, but they talked him out of it; they said he could take time off, sort out his life, after the tour. He never got the chance. Before they went on tour Ian Curtis hung himself in his kitchen at home, in the early hours of May 18th. When Simon came back, rain on his collar and Silk Cut on his breath, I had another question for him – something I couldn’t believe, but couldn’t keep to myself. A burst of raucous laughter from the opposite corner made Simon wince. Then he continued. AND HERE FOR THE PAPERBACK. This entry was posted in Literature, Music, New Wave and tagged New Wave. Bookmark the permalink.